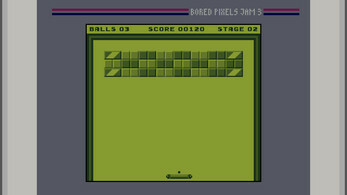 NOTE This game is best PLAYED FULLSCREEN otherwise the mouse pointer can wander off the window and lose focus. Also, the balls occasionally gets stuck. If that happens, press Q to return the the menu where you can restart the level. 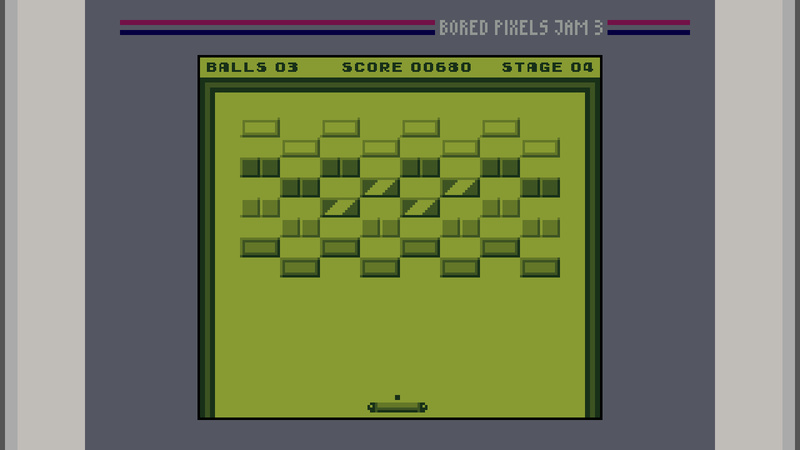 Boredanoid is a simple Breakout / Arkanoid clone in the style of the original Gameboy. 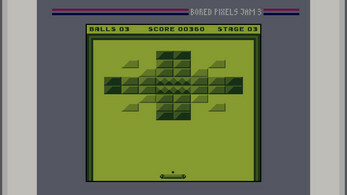 Destroy all the blocks! 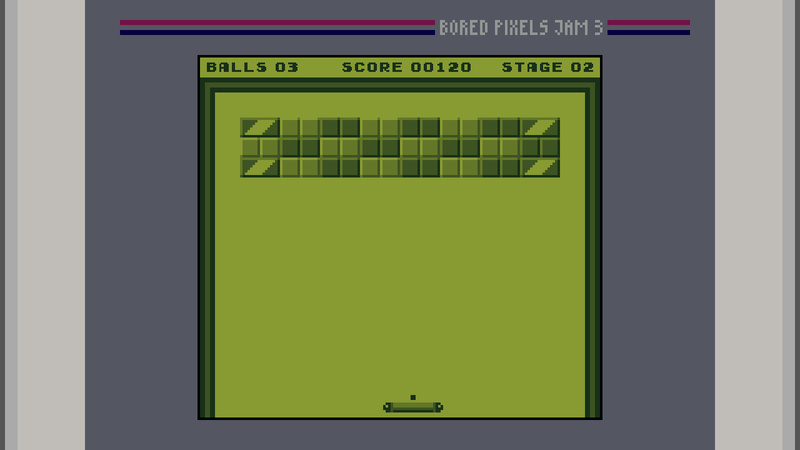 Use the mouse to move the bat left and right, left click to launch the ball. 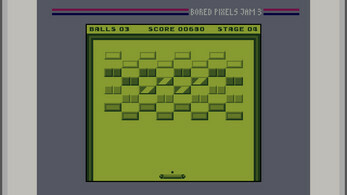 Made for the Bored Pixels Jam #3 2019 with the theme "Gameboy".